– See your selected network card’s current DNS IP address. – Easily backup and restore your current DNS settings. – Check your DNS server response time. – Automated checking of all listed DNS response times, finding the fastest available. You can then quickly apply it to your DNS settings. 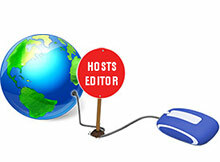 – Add your own custom DNS server. a. 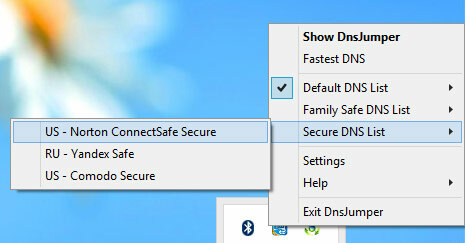 Under ‘choose a DNS Server’, select a server from the drop-down menu. Easily add a custom DNS server by first ticking the ‘Custom DNS server’ box, and then type (or paste) in the IP address you wish to add. Do the same for the alternate IP address. Then click the ‘Apply DNS’ button. The “magnifying glass” button on the far right of the main window opens a menu that allows you to get information about your current DNS server, or to copy the IP numbers to the clipboard. The first time you run DNS Jumper, it automatically backs up your current network card’s DNS settings. To back up the settings manually, click “Quick Configuration” (the ‘star’ button) and then select ‘Backup DNS’. There are two ways to restore your settings back to your ISP’s defaults. 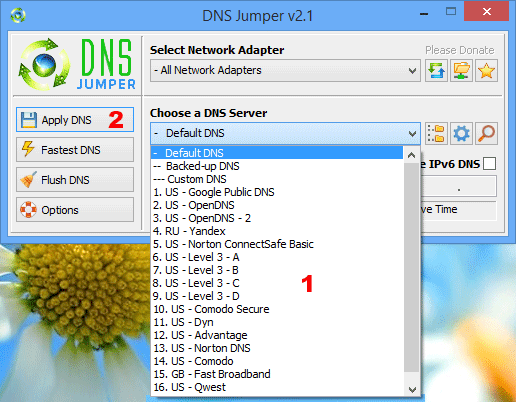 DNS Jumper features 3 pre-set lists of servers to choose from. 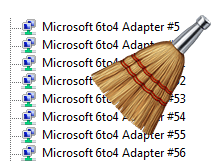 Aside from the Default list, you might also wish to see a list of Family Safe servers. These can help protect your children from inappropriate websites (including pornographic). 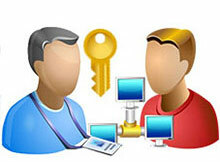 You can improve security by selecting the ‘Secure DNS List’. 78 queries in 0.258 seconds.